Michelle Davis will speak at the Shabbat service this Friday about Intermarriage, just in time for Valentine’s Day! How do the different branches of Judaism respond to intermarriage? Is it really the end of the Jewish people? Or is it a chance, an opportunity for future growth and change? Join us on Friday February 11th, 2011 at 11:15 am at Montview Presbyterian Church, 1980 Dahlia, Denver, for this exciting program! 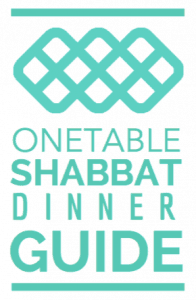 Our Shabbat service is followed by an oneg arranged by Maida Deborah and Terry Fleisher.